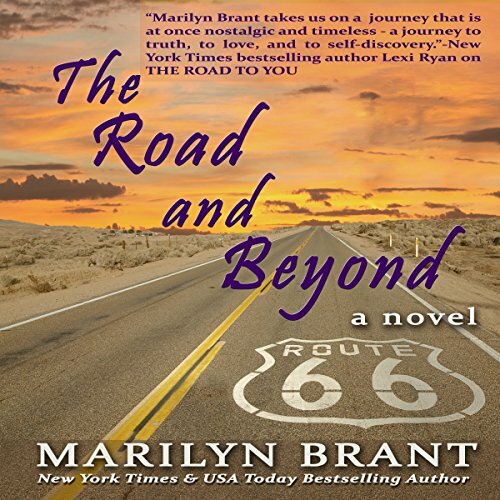 The Road and Beyond is the expanded book-club edition of The Road to You by New York Times & USA Today best-selling author Marilyn Brant. This novel contains not only the completed original story set in the late 1970s but also the brand-new present-day tale of Aurora, now a mature and married woman with two adult sons, who must confront her worst parental nightmare. Decades later, in the summer of 2014, 54-year-old Aurora receives a terrifying phone call - her adult son, Charlie is, missing, and this news inevitably brings the memories of her adolescent years rushing back. Haunting recollections she'd hoped to keep buried resurface. Are the choices she made in her youth responsible for her son's disappearance now? And how on earth can she find him? ©2014 Marilyn Brant (P)2016 Post Hypnotic Press Inc.